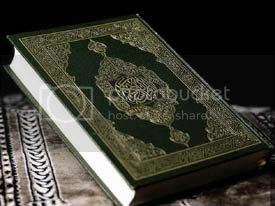 The Quran is the religious book of the Muslims and was revealed to the Last Prophet, Muhammad صلى الله عليه وسلم in the language of arabic, through the angel Jibraa’il over a period of 23 years. The Quran was revealed in verbal form to the Prophet صلى الله عليه وسلم, and was later compiled into the form of a complete book during the rule of Hazrat Abu Bakr Siddiq رضى الله تعالى عنه though even before this it was memorised by thousands of companions and was recited in the presence of the Prophet صلى الله عليه وسلم. There are many virtues of reciting and memorising the Quran and stories contained within it are of exceptional importance to Muslims. We attempt to share some of these in the articles below. Please visit the Tafsir link (mariful Qur’an) to read the Quran in detail with commentary provided by a reliable and tradionally educated scholar. mashaAllah short but great article especially the links are helping a lot for related information.